Jill Murray was once a Torontoist contributor. Now she's known for her work on Ubisoft's Assassin's Creed III: Liberation. Torontoist has had many reasons to be proud of Jill Murray over the years. First, the former staffer broke into the publishing world with the release of her first book in 2008—a YA novel entitled Break On Through, about a young breakdancer in Toronto. Five years later, after another book (Rhythm and Blues) and a career change, Murray is now writing for video games at Ubisoft, one of the world’s most respected gaming companies. Recently, Murray’s script for the Playstation Vita game Assassin’s Creed III: Liberation, which she co-wrote with Richard Faresse, won the Writer’s Guild of America award for Outstanding Achievement in Video Game Writing. Murray, who now lives in Montréal and frequently travels to Bulgaria, where Ubisoft also has offices, took the time to chat with us about making a career in games, her YA writing career, and opportunities that exist for budding games writers right here in Toronto. Torontoist: How did your professional writing career begin? Where were you first published and how did you go about making writing your career? Jill Murray: I’m more of a worker bee writer than a “just love to write” writer, so I’ve never really written anything without the intention of some kind of publication or performance. The visible arc of my career began in 1997, when I wrote and produced a musical for kids at the Montreal Fringe Festival. Then I felt burnt out and didn’t write anything but school assignments for the next five years or so. After finishing theatre school and working in web development for a while, my life lacked anxiety, so I started writing novels and blogging. I found an agent and had two books published by Doubleday Canada in 2008 and 2010. Finally, I started writing for games in 2011, and that brings us to now. You’ve written two YA novels, both related to the entertainment industry. Why R&B and breakdancing? While toiling away in obscurity before writing Break On Through, I used breakdance lessons with shebang! (and later at Street Dance Academy, where I eventually launched Break on Through) to keep from becoming a sedentary lump. The dance itself, and the tenacity of the people who do it well, inspired me to write Break On Through. Rhythm and Blues takes a character from the first book on a new adventure. Since all through Break On Through, she loved the worst kind of auto-tuned pop-R&B, the music industry is where that book went. Thankfully, though, there is no auto-tune in reading. Your novels are set in Toronto. What about the city makes it an interesting setting for a YA novel? In Break On Through, the character Nadine lives in a fictional suburb of Toronto and spends more than half the book complaining about it. She wants to get back to Parkdale, where she grew up, and where her old crew is, and everything is familiar and she knows how to fit in. This was for mostly the wrong reasons, since in the book those guys in her old crew are jerks. But the energy of the city, the mix of people, and the ability to almost decide who you want to be by choosing your neighbourhood are inspiring to her. I grew up in the suburbs, so the city was always aspirational to me. When did you develop an interest in writing for video games, and how did you make the leap into the industry? In 2010, I came home exhausted and deflated from a difficult research trip to Ethiopia. I guess burnout is a recurring theme. A long time prior, when I decided to write novels, I intentionally uninstalled every game from my PC, because it was obvious that I could either be a novelist, or have Civilization installed in my work environment. Burnout removed this compulsion for discipline, and drove me to the couch, where I sat about wearing the Xbox down into a molten plastic lump, one game at a time. I think it was about 48 hours into the Mass Effect series that I suddenly realized, in all-caps, WAIT! SOMEBODY IS WRITING THESE! Since I was living in Montréal by then, someone was probably writing them like, DOWN THE STREET which meant THAT PERSON COULD BE ME. So I started learning as much as I could about the industry and meeting people at events and on Twitter. This industry is incredibly welcoming, and the right project came along quickly at Ubisoft. You’ve shipped two games so far, one of which was Assassin’s Creed III: Liberation, with Ubisoft. How were you able to acquire such a coveted assignment early on in your games-writing career? My first game, Your Shape: Fitness Evolved 2012, shipped in November 2011. From there, the story is incredibly boring. I had finished my work on Your Shape, and was waiting to find out what else I might be able to work on, when my colleague Richard Faresse asked if I wanted to help him out on this project with this 18th century Hatian/French girl assassin. I thought maybe it was because of my books, which also have that multicultural-girl-adventure thing happening, but he hadn’t read them. So basically, I got to work on that project because I was there. Just getting in the building is the most important step in a game writing career. What kind of response have you received to your work on Assassin’s Creed III: Liberation? You tend not to get many responses directly to your writing when you work on a game, which is exactly as it should be. A game is the sum of so many things, and although game writers love game writing, most of us actually prioritize gameplay, and how it can be harnessed for storytelling. We did win this nifty Writer’s Guild of America Award, though. And people seem to really enjoy playing as Aveline. I’ve also been invited to give a talk on writing diverse game characters at the Game Developers Conference in San Francisco at the end of March. What were some of the challenges of writing the script? What are you most proud of? 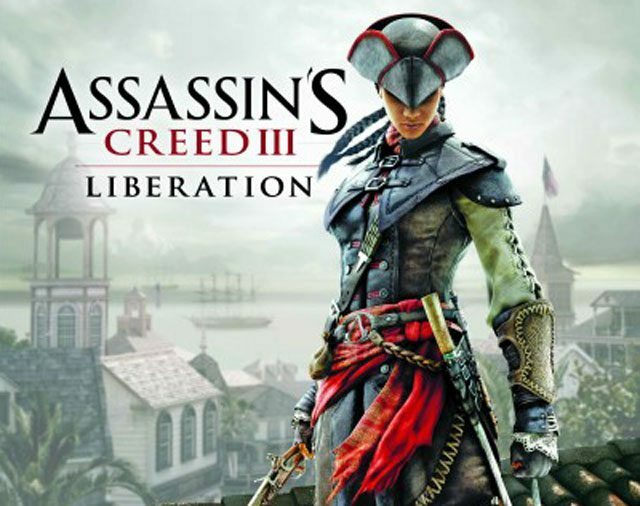 The biggest challenge on Liberation was the distance in time and space between Ubisoft Montréal, where I work, and Ubisoft Sofia, in Bulgaria, where the game was actually developed. I was joking the other day that I’ve never finalized a mission without the influence of jet lag. What does the award mean for your career? I love the award. It’s heavy and shiny, and it let me go to a nice party, and also speak on a game-writing panel with some really excellent writers, and most of all it means someone read our script. But I’m already working on the next game (I’m like a foreign correspondent for the recently announced Assassin’s Creed IV: Black Flag, so it’s back to jet lag for me), and nothing changes there. Work is work and I like it that way. What advice would you give someone who was interested in making the leap into writing for games? Play, write, and read as much as possible. Make some games. Get to know the industry as well as you can. In Toronto, start with the IGDA, the Hand-Eye Society, Gamercamp, and Dames Making Games. Online, use Twitter to branch out and find people working in your own niche. The people in this industry are overwhelmingly warm, enthusiastic, and helpful, and we will happily absorb you into our orbit the moment we detect you’re sincere and genuinely interested in making great games, whatever that means to you. Thanks to Jonathan Goldsbie (also a former contributor!) who alerted us to Murray’s WGA win.